After enthusiastic public participation in the 2015 compost drop-off pilot program, composting continues in GreenBlue’s hometown of Charlottesville, Virginia in 2016. 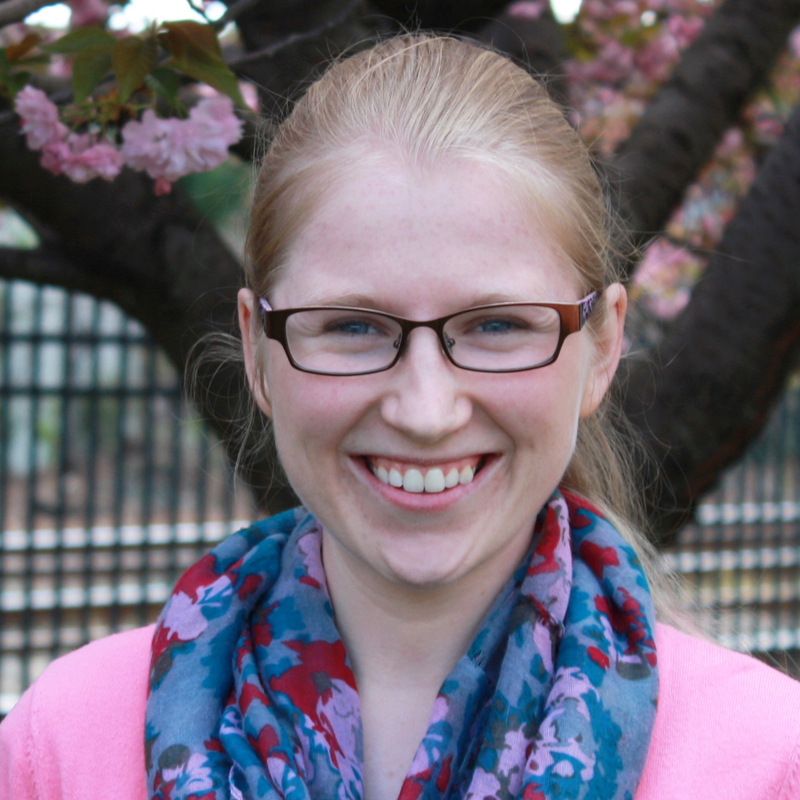 GreenBlue intern Tesia Moore runs the 2016 Charlottesville City Market composting program. The City Market compost drop-off in Charlottesville began as a pilot program funded by a grant from the Environmental Protection Agency (EPA) Region III. The 2015 pilot program aimed to divert compostable waste from landfills by collecting compostable material from residents and on-site at the City Market from April to October 2015. Charlottesville residents were given the opportunity to drop off their food scraps, yard waste, uncoated paper items like napkins and paper towels, and certified compostable packaging at the City Market, to be composted for free. To make it more convenient for residents, every Saturday, when residents dropped off their waste, they were provided with free compostable bags. From the resident drop-off station alone, over 6,000 pounds of household compostable material was collected, with the average participant dropping off 5.5 pounds of compostable material. In addition, market vendors participate by collecting their in-kitchen food scraps. After participating for seven months, residents didn’t want to stop. With the City Market pilot program ending in October, residents were eager to find a winter drop-off location. After several citizens approached the Rivanna Solid Waste Authority (RSWA) about providing an interim service between market seasons, the initiative was approved. Rivanna’s McIntire Recycling Center began collecting compostables in January, expanding the program to residents of Albemarle County as well. As the Market season resumes, the McIntire Recycling Center program was scheduled to conclude at the end of April. On April 26th, the RSWA Board decided to extend the program, to offer year-round compostables collection in Charlottesville. For more information about the RSWA Board’s decision, visit rivanna.org/news-and-information/board-meetings-2. The success of the previous year has galvanized composting efforts in Charlottesville. The City of Charlottesville in partnership with GreenBlue, Better World Betty, N.O.P.E., and Black Bear Composting will continue to provide a compost drop-off station at the City Market for the 2016 market season. 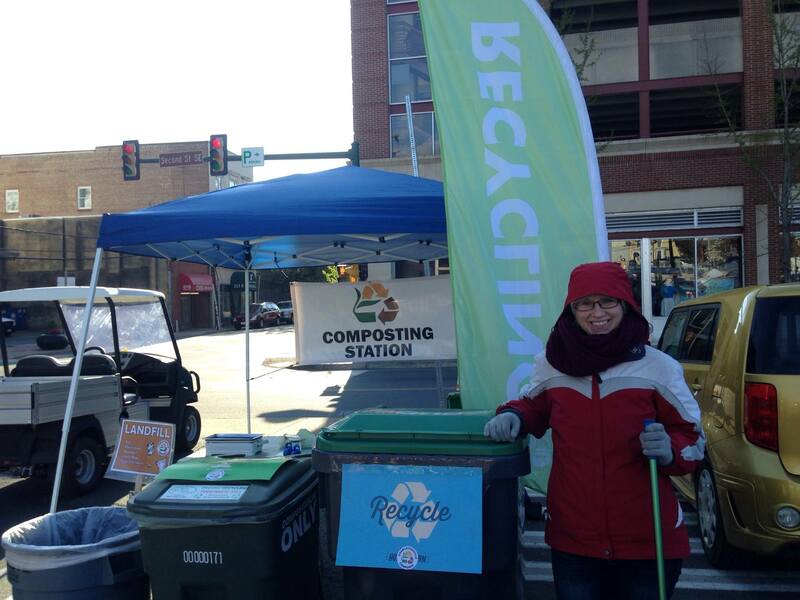 Anxious for the return of the composting program, residents flocked to the City Market this month, and in the first 4 weeks of the season, the program has collected over 400 pounds of food scraps and compostable packaging. The City continues to record the total weight and type of compostables dropped off by participants each week to gauge interest and program growth over the market season. To view up-to-date City Market compost collection data, visit Smart Cville’s live data tracker. Charlottesville illustrates a model small city, scaling up composting efforts among its residents. By continuing to educate residents on how they can sustainably manage their household waste, the program can only grow. The US Census Bureau estimates Charlottesville’s population to have been 45,593 in 2014. If every resident diverted just 5.5 pounds of their weekly kitchen scraps from the landfill, the City would be able to collect a total of 250,762 pounds of compostable material per week which can be used to produce valuable compost to improve the health of local soil. The future is bright for composting in Charlottesville. The City hopes to continue to build on their success by adding additional community drop-off sites and maybe one day implement a curbside pickup program. Those interested in volunteering at the City Market can sign up here, or email Tesia at Tesia.moore@greenblue.org to learn more about volunteering. Read the NBC 29 story about the Charlottesville City Market.